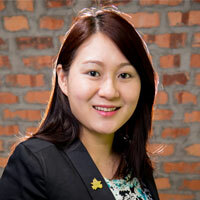 Tey Ting Ting （郑婷婷）is a practicing lawyer since 2007 and was graduated from University of Malaya in 2006. She read in chamber at M/s Ghani & Co. as a legal assistant practising in the area of Corporate Banking focusing on Islamic Financing advisory and documentation. She has developed a niche in Islamic instruments involving concepts of Ijarah, Kafalah Wakalah, Musyarakah and Murabahah Tawarruq. She has been developing her expertise in strata development and management advisory over the years in Chur Associates including the residential, retail, commercial and mixed development. And she is also contributed her effort in Strata OMG (Owner’s Manual & Guidebook) which published by the firm, and Strata Management Handbook which published by Rehda Institute. In 2010, she was promoted as Partner of CA. Thereafter, she is responsible for the Firm’s Real Estate, Banking, Strata Development & Management Advisory and Company Secretarial portfolio. Currently she is leading the biggest team in CA with another partner Noelle. The teammates including the lawyer Farah and Michelle, and supported by Chye En, Yati, Dila, Kaecy, Aina, Sikin, Sharifah, and Zulaika. In term of communication, Ting Ting is proficient in Chinese, English and Malay. And she is able to speak Mandarin and Cantonese as well. The multilingual enables her to understand the clients better and helps them to solve the issue. Ting Ting is also practicing these CAlture along her years of service in CA, which is Team, Approachable, Accountable and Respect. Ting Ting is the head of staff that advises the Firm on the Talent requirement from time to time based on the growth of the Firm. This is to ensure that an appropriate level of personnel is maintained in order to meet the requirements necessary to support a highly knowledgeable team providing our brand of legal services.